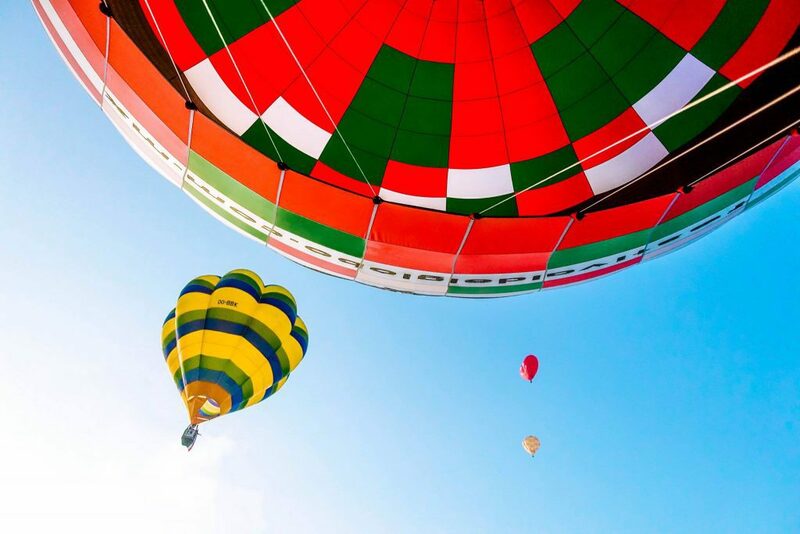 When one thinks of Turkey, chances are that “watching hot air balloons” would come to mind. 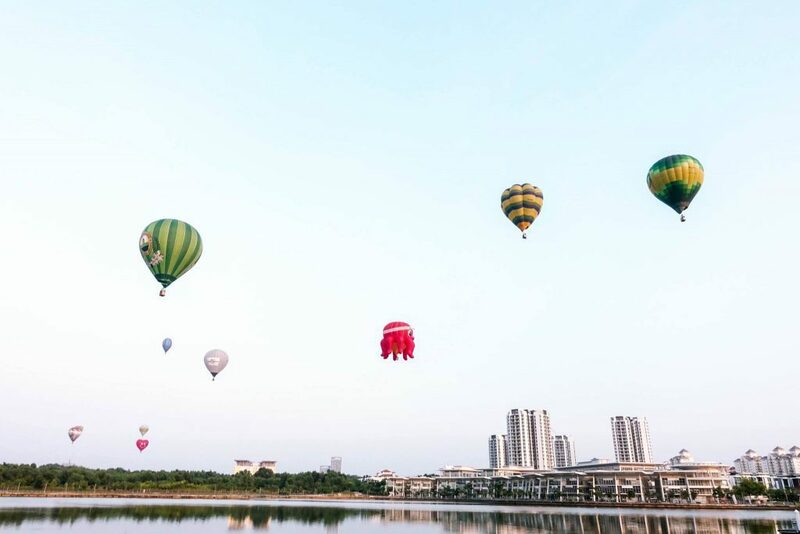 It’s a bucket list activity for travelers no doubt, and now KL-ites can have a taste of that at the upcoming Putrajaya International Hot Air Balloon Fiesta. 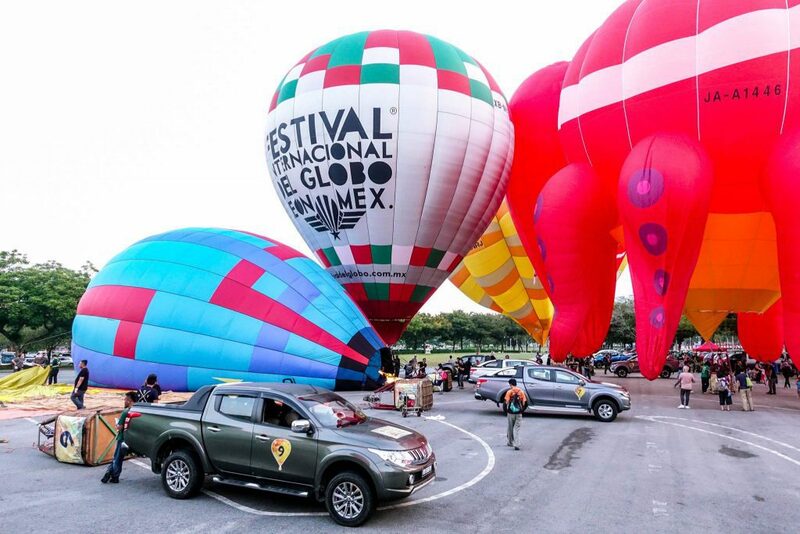 The acclaimed hot air balloon fiesta is back and they’re celebrating their 10th anniversary this year! 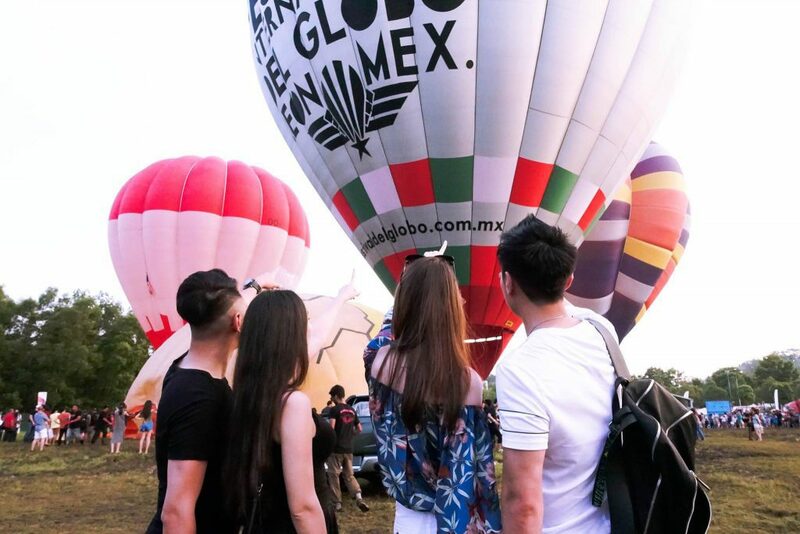 Here are the deets you should know about the hot air balloon fest! 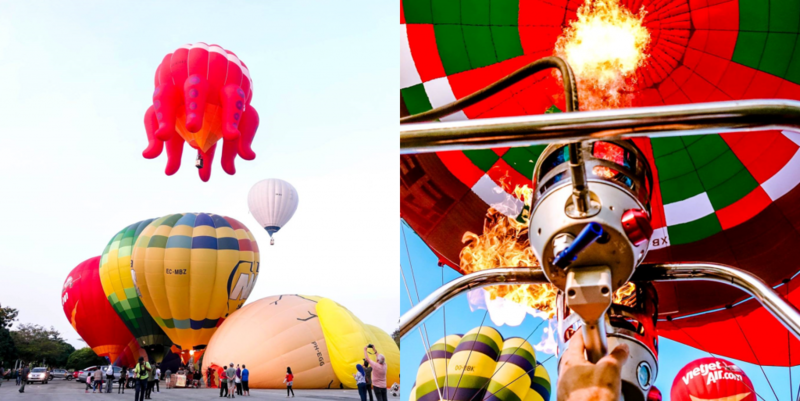 This free event will host a collection of 20 hot air balloons of various shapes and colours from different parts of the world such as Thailand, Taiwan, India, Belgium, Spain, United Kingdom and Malaysia. That’s right, it will be hosting various hot air balloonists from across the world! 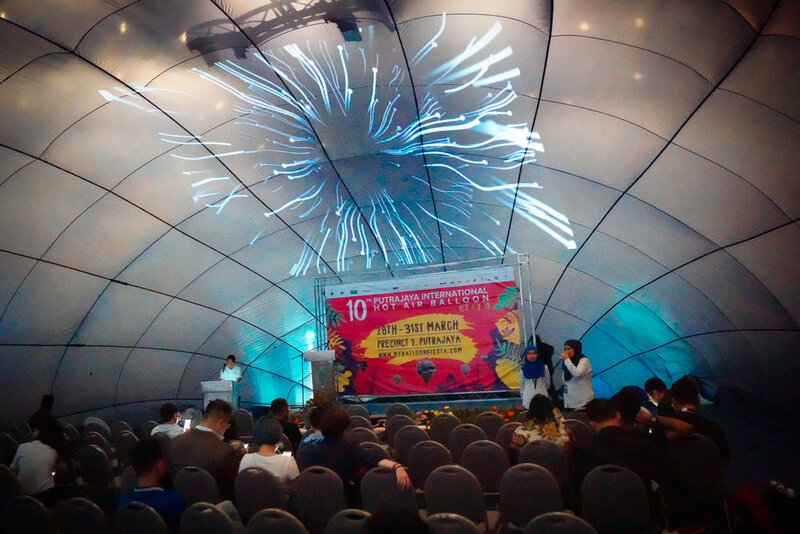 There will even be a really cool balloon igloo made out of recycled hot air balloons, so keep an eye out for that. There will be delicious food and drink vendors as well as fun activities such as Pedal Go-Kart, Roller Orb and Reverse Bungee. Tickets for these 20 activities can be purchased at the event site and they are priced between RM7-RM30. 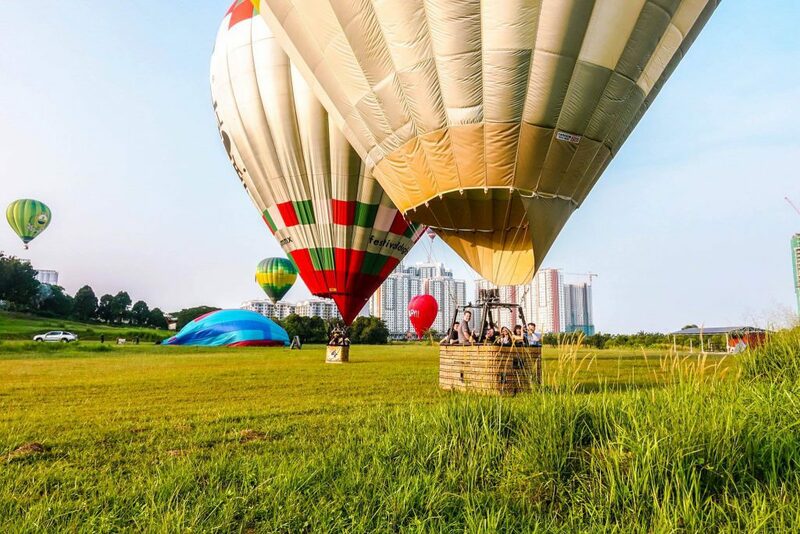 As for the hot air balloon activities, tickets are priced between RM11.50-RM17 and you’ll get to enjoy different packages and experiences such as riding in a hot air balloon and getting up close and personal with the balloonists and their balloons. 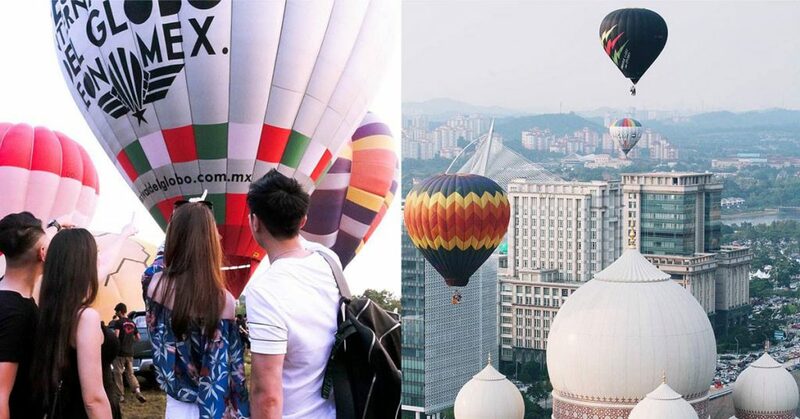 You might have heard of a Malaysian hot air balloon flight experience that costs RM1k for 60 minutes of being up in the air and it ending with a fancy breakfast buffet with sparkling juice. Enticing, but some of us may not love the idea of floating away too. Trust us when we say that it’s a valid fear of flying off into the unknown on a hot air balloon. But you won’t have to worry about that happening at this festival as you’ll get to experience tethered balloon rides instead. 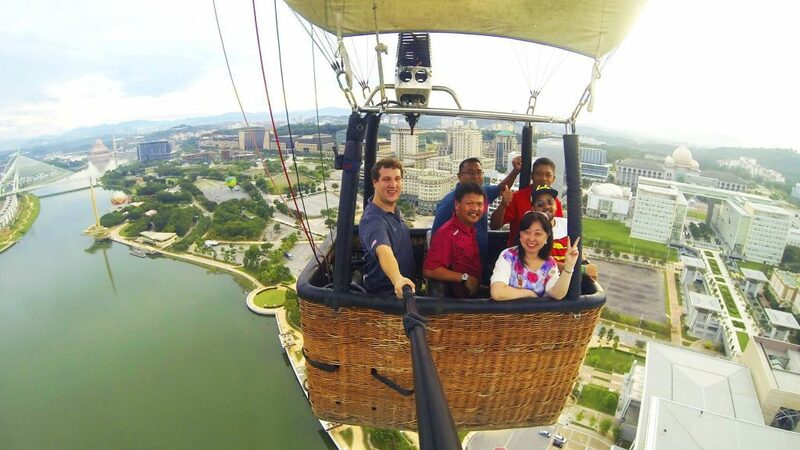 It’s a 5-7 minute balloon ride up to 60 ft on a balloon anchored to the ground so no floating away business for you! Plus, you’ll gain access to a gourmet breakfast buffet spread as well as a private area and viewing deck. Limited to only 100 pax per session, you’ll be able to get your Instagrammable shots without the dangers of photobombers lurking in the shadows. If heights are not your idea of chill, the ground is always here for you. At only RM50 per adult and RM20 per child, you’ll get to relax on the grassy plains with plenty of natural shade from some trees. Maybe grab their Classic Breakfast (scrambled eggs, roasted potatoes, grilled tomato and beef bacon) with a cup of black coffee and have a romantic picnic with bae as you watch a mass ascension of balloons take off between 7am to 8am. We’d think this would be the best opportunity for you curious cats who have been wondering how these pieces of canvas float or how humans navigate them. With their Launching Field Access, you’ll get to experience and watch the pilots inflate the hot air balloons in the morning. Hence, this could be your chance to observe and satisfy your curiousity without getting into (too much) trouble! Can’t stand the idea of waking up before dawn? They’ve got a really lit party going on at night called the Night Glow! Bop and sway rhythmically to the music with the balloons and grab some exclusive colourful merchandise too. 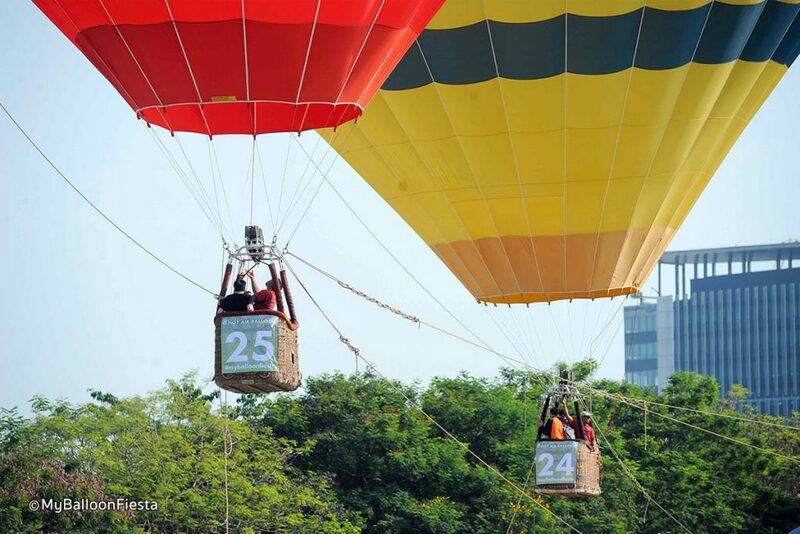 Besides that, there’ll be a Hot Air Balloon Parade and Display followed up by a stage performance by Oppo. 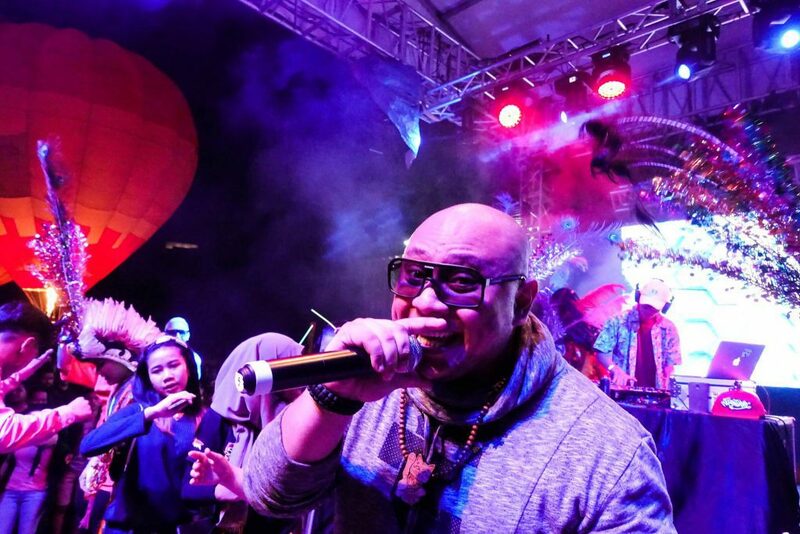 Bonus: FREE entrance for My Balloon Club members and it’s perfect for super cool party photos! So they’ve got tickets for you to observe the balloons in flight, inspect them up close, talk to the pilots and maybe even party with them. 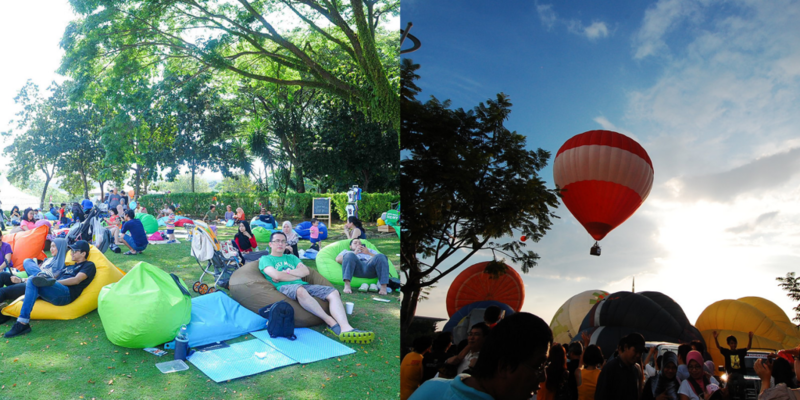 It all of that has gotten you excited, you can also opt for the My Balloon Adventure package. 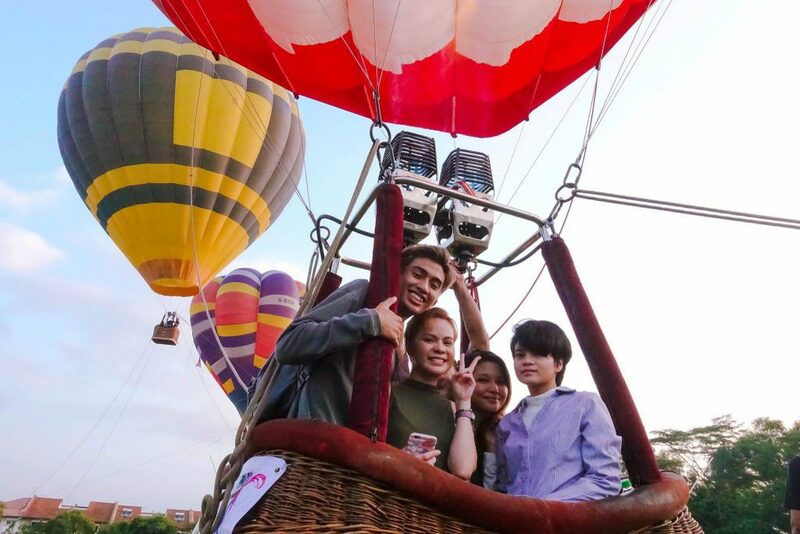 This package comes with a Hot Air Balloon Free-Flight (yes you’ll be floating around with a pilot on board), pre-flight refreshments, buffet breakfast at a nearby resort, in-flight photo and a time-lapse video of your flight. 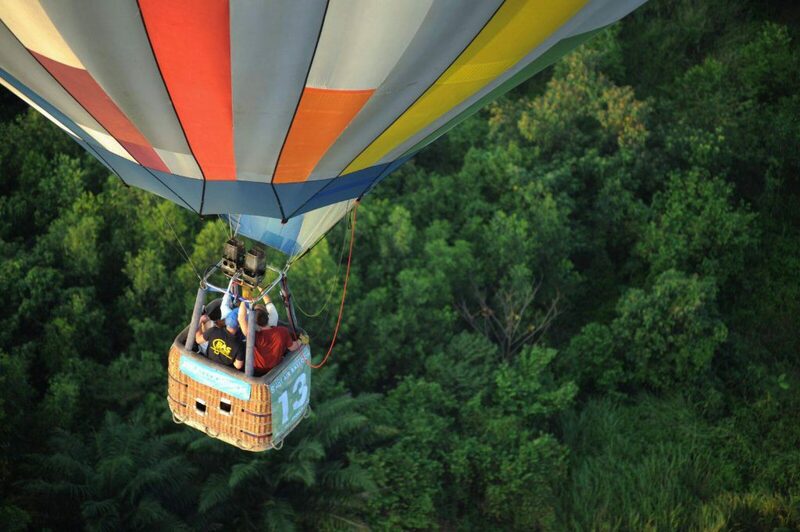 This balloon ride even comes with an insurance and a Balloon Flight Certificate to celebrate your courage. My Balloon Fiesta truly has activities for the entire family. 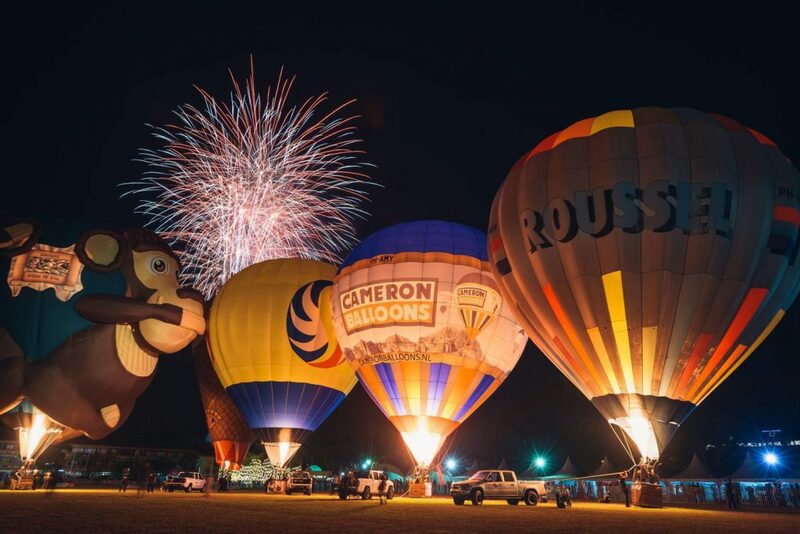 From under RM100 per person, you’ll get to dine and party under the stars as bouquets of fireworks and lit hot air balloons light up the skies. Note: All prices noted here are Online Prices. Ticket pricing may vary on the day itself.